Think of this as the ultimate multi-tool for the grill. You need one and maybe you'll win one. There will be a total of SIX WINNERS for today's giveaway. - Please send an email to tfmcontests@gmail.com saying you want in on today's giveaway. - You will need to send an email each day to be included in the 12 Days of Christmas giveaways. - You will receive an auto response email back to confirm that your entry was received each day. - Please send only one email per email account. Duplicate emails will be erased. - All emails must be received by 5 a.m. tomorrow morning to qualify for this gear giveaway. - Winners will be chosen by random number generator and will be announced tomorrow morning at the end of this post. - Please note that if you win one of the days of the 12 Days of Christmas giveaways then you are not eligible to win any other day. Please give someone else a chance. Congratulations and thanks to Pops Q Tool for their generous donation to the event. 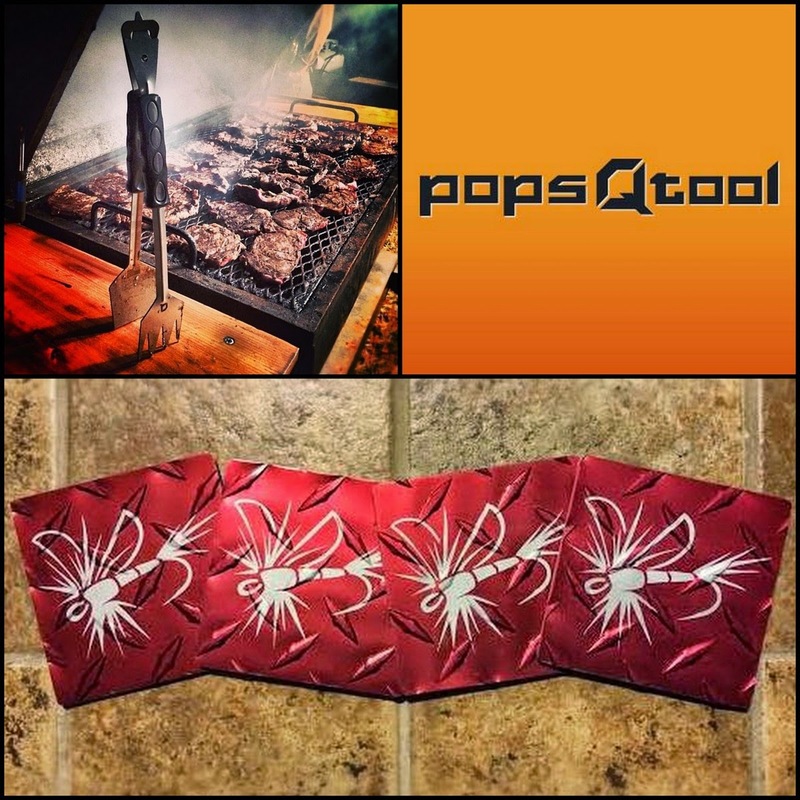 Want to order a few sets of Pops Q Tool for Christmas gifts? Use code "TFM25" for 25% off your order. The Pops Q Tool is offered in two sizes with several different handle colors. They can also be engraved with custom logos or personalized for free. Check out the Pops Q Tool website for more information. Good luck and tell your friends. I've envied everything given away so far, but this is a pretty unique set. I'll have to get one for my dad for Christmas!